Unless otherwise specified, SBS standard packaging will be applied, in which case, transparent plastics are used for the inner packaging while cartons are used for the outer packaging. Unless otherwise specified, all cartons used for the outer packaging will be printed with SBS LOGO. Cartons without any LOGO are prohibited from use in packaging. Unless otherwise specified, C/NO. 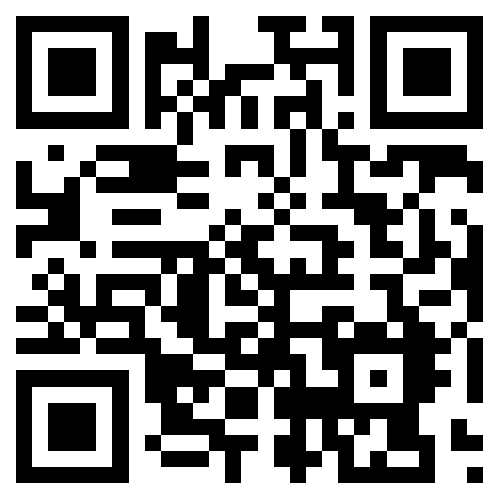 : will be used as the shipping mark. 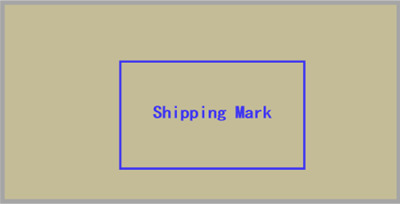 Customer-specific shipping mark is also acceptable, for example, printing the client’s company name onto the cartons. 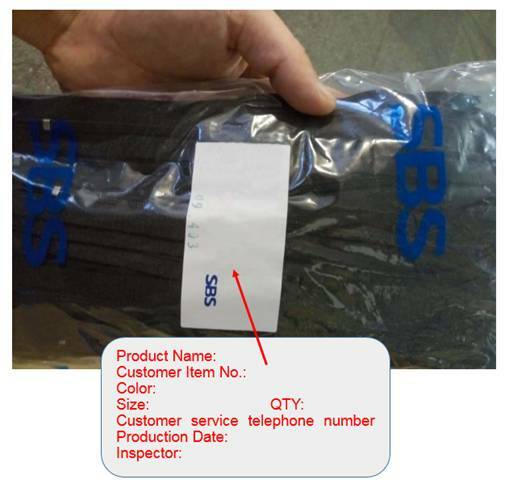 SBS standard side mark, covering the ITEM、COLOR、SIZE、QTY、N.W、G.W、MEAS, etc. Except air transport, secondary packing should be applied to all export LCL orders (great than or equal to 8 pieces) by the warehouse using the specialized export pallets prior to delivery in whole board. 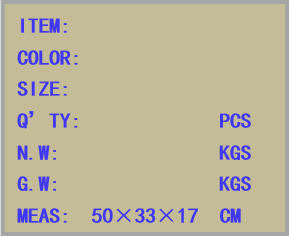 The client can cancel this kind of packing if it is unnecessary. 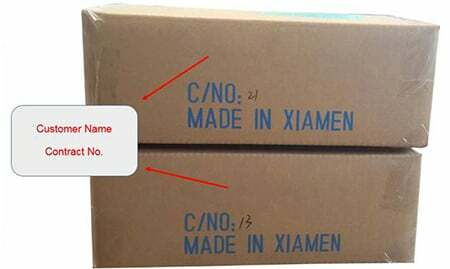 Besides SBS standard packaging, customer-specific packaging is also acceptable, for example, paper tubes. The specific packaging method and specifications depend on the design drawing provided by the client. An extra fee will be charged if paper tubes are used for packaging, as they will increase the packaging cost. Paper tubes are only applicable to the packaging of nylon and plastic chains currently. They don’t apply to the packaging of finished zippers or metal chains.